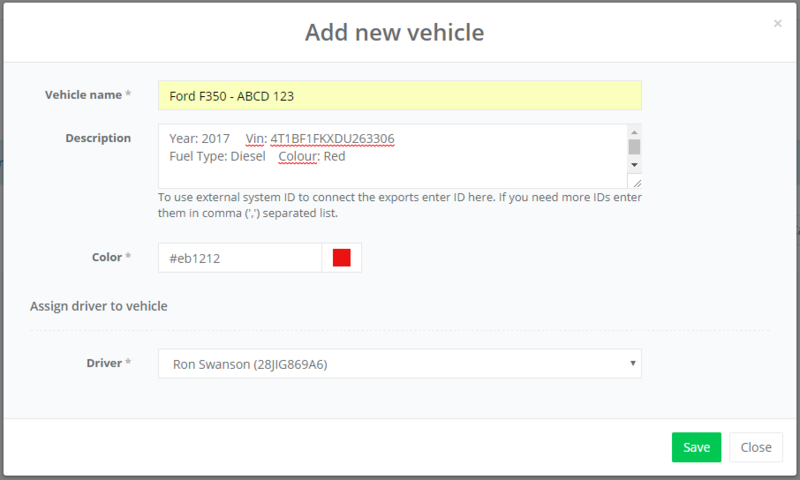 Add drivers and vehicles to your fleet using account IDs. 1. Log in to your MESH Tracks web account here. Using the navigation menu on the left click FLEET, choose Vehicles from the drop down. 2. Click +Add vehicle fleet. 3. Select 'Use generated Account ID' and click 'Next'. 4. Click on +Add driver. 5. 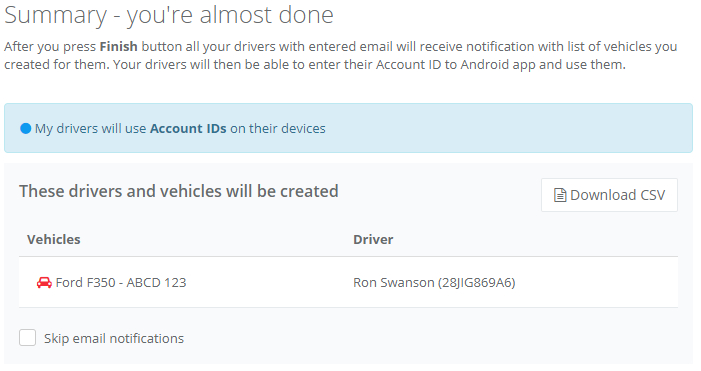 Enter the driver name (optional), and driver email. You will see that an Account ID is automatically generated, press 'Save'. If you want to add more drivers repeat these steps, otherwise press 'Next'. 6. Click on +Add new vehicle. 7. Enter a vehicle name and description. In the driver option select the driver to assign this vehicle to, press 'Save'. If you want to add more vehicles repeat, otherwise press 'Next'. You will now see an overview of the fleet you just created. If you added email addresses for your drivers they will be notified. You can also choose to download the table in CSV format to open it as a spreadsheet app (e.g. Excel). Click 'Finish' to create the fleet. Note: If you skipped the email notifications you will need to give your drivers their generated Account IDs. They will have to install the app and on first run choose the 'Use Account ID' option.